Say Bye to disposable sanitary napkins and tampons! 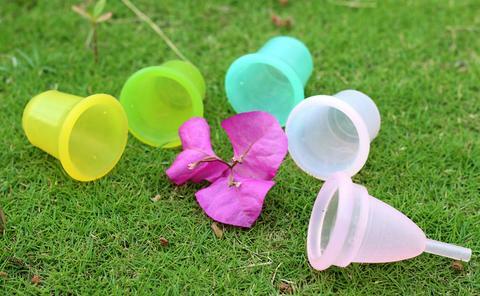 Menstrual Cups are waste-free, healthier, more economical and above all, COMFORTABLE options to period care. Regular Teal Cup: Best suited for physically active women who exercise regularly to stay fit: swimming, yoga, hiking and other activities. Soft Green Cup: Best suited for women with limited physical activity and sedentary lifestyle, low cervix or history of recurring vaginal or urinary tract infections. Hard Yellow Cup: Best suited for physically active women who are into rigorous sports, dance and other activities and who have heavy bleeding. The harder cup holds up well against physical exertion and does not slip out during gruelling activities. Stonesoup Pratham: Specially designed for women looking for a cup with a STEM!! Pratham is made of medium softness and suits most women!! Stonesoup Fuchsia: Gorgeous Pink Cup comes with Premium Tin Box Packaging and Period Pride Earrings. It is of medium softness and suits most women.